28-30 Mart 2018 Tarihlerinde Gerçekleştirilecek Olan “ETKİ” Konulu 5. HACETTEPE GRAFİK TASARIM ÇALIŞTAYI’na Katılacak Öğrenciler aşağıdaki gibi belirlenmiştir. 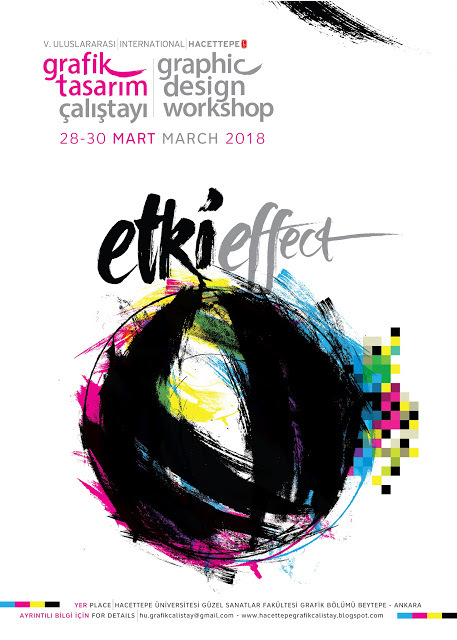 / Chosen students, for the "EFFECT" themed 5TH HACETTEPE GRAPHİC DESİGN WORKSHOP which will be held on 28-30 March 2018, are as follows. 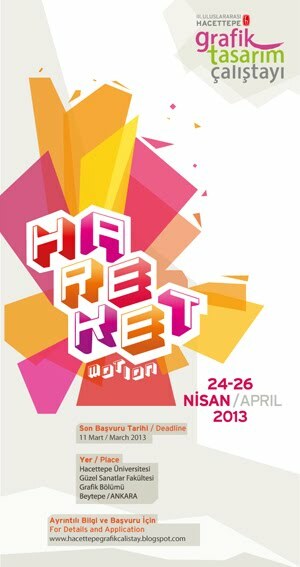 * "V. International Hacettepe Graphic Design Workshop" on "effect" is an activity of the Department of Graphic Design. Faculty of Fine Arts, Hacettepe University. 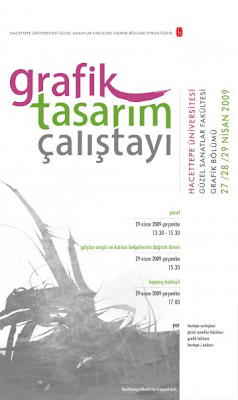 Information: Hacettepe University Faculty of Fine Arts Department of Graphic Design will organize the fifth of the graphic design workshop events that will be held in between 28-30 March 2018, aiming at developing creativity, enriching design ambience, in-depth research and exploration in graphic design education. In this workshop, the lecturers who will conduct the workshop are indicated below, panelists and interviewers will be announced later by the Workshop Organizing and Executing Board. Today, everything changes and develops at a great speed; new technologies, new discoveries, dizzying events, phenomena are encountered at any moment; therefore, it is inevitable to develop new communication indicators in order to understand, explain and to enrich them by adding new meanings. Known contents are changing every day, new meanings loaded with sounds, images, forms, movements and so on. As the inevitable communication elements of graphic design / visual communication designing of the signs surrounding the human beings as manifest images with the dynamics that force them to perceive it as an inevitable communication element has become an indispensable obligation of the institutions providing education and training in this field. In this context, the theme of this year's workshop is "effect". Designs to be exhibited at the 5th International Hacettepe Graphic Design Workshop "effect" which will be organized this year will be presented to the audience in Hacettepe University Faculty of Fine Arts Graphics Department and/or other exhibition halls of the faculty. Goal 1: To conduct interviews, panels and workshops by bringing together students, professionals and lecturers of higher education institutions providing education and training in the field of Graphic Design / Visual Communication Design, which is increasingly important in the universe of art, design and communication. To create a high level communication and sharing environment where problems related to graphic design / visual communication design education, creation and production are discussed. To create a graphic design archive with the works put forward in this process. Providing university students, who are studying graphic design in various countries, primary goal is to create an "effect " element with in their design work in the workshops, each of which is directed by seven university lecturer of various prestigious universities in Turkey and abroad in visual communication design department, etc. each one competent in his / her field. Secondly the the goal is to publish a book / e-book, composed of the works that emerged through the workshop, subjects discussed in the panel and texts of competent persons from the interviews. The workshop conductors are determined by the workshop manager and the joint decision of the members of the Workshop Organizing and Executing Board. Participating students will be selected among the third and fourth year students applying from the relevant departments of the universities providing graphic design / visual communication design training. All kinds of expenses (food, transportation, design, vehicle, etc.) will be covered by the students themselves. Participants will bring their personal computers with tools to use in drawing, painting and design, if needed. Participant students will consist of third and fourth year students studying at universities offering graphic design / visual communication design training. Students who want to participate in the workshop will apply for the 5th International Graphic Design Workshop by filling in the fields related to student application from hu.grafikcalistay@gmail.com and http://hacettepegrafikcalistay.blogspot.com.tr/ until Monday, March 19, 2018. 19 March 2018: Deadline for application to workshops. 21 March 2018: Declaration of attendee results. 28 March 2018: The start of the workshop (09:00). 30 March-13 April 2018: Workshop Exhibition.